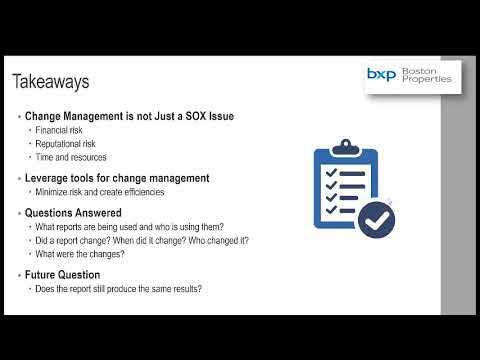 SOX compliance is an enterprise-wide responsibility, and one of the BI team's greatest contributions to SOX compliance is BI report change management. The BI team must stop the proliferation of reports so that the catalog is manageable, and it must proactively ensure that the BI report catalog is audit-ready. You make your report catalog audit-ready through rigorous change management procedures that are supported by deep knowledge of your BI system, and automated audit-support techniques such as impact analysis and usage alerts that protect your internal controls and other critical reports. 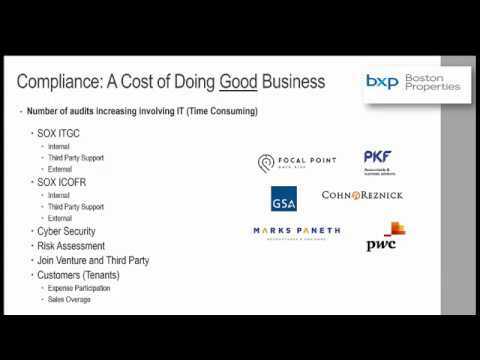 Not long ago, Boston Properties' Dave Pigott joined us to reprise many elements of his ASUG BI +Analytics 2018 presentation. 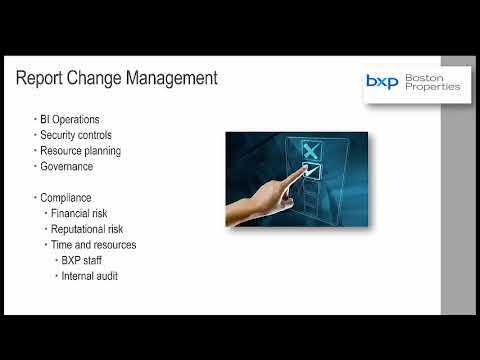 Dave talked to us about how Boston Properties developed their BI report change management, SOX compliance, and audit readiness through deep system knowledge.